We are Ricardo and Lana, a couple of engineers. We shared the same dream: to create a special place, where guests would feel welcomed as friends and can appreciate our privileged landscape with comfort.Pousada Quinta da Serra was born after years of planning and was inaugurated at the end of July/2008. We offer warm hospitality and excellent knowledge of the locality to help you plan your itinerary. When you are not visiting the tourist attractions, simply relax, let the time be quiet for once and enjoy all that Quinta da Serra has to offer. 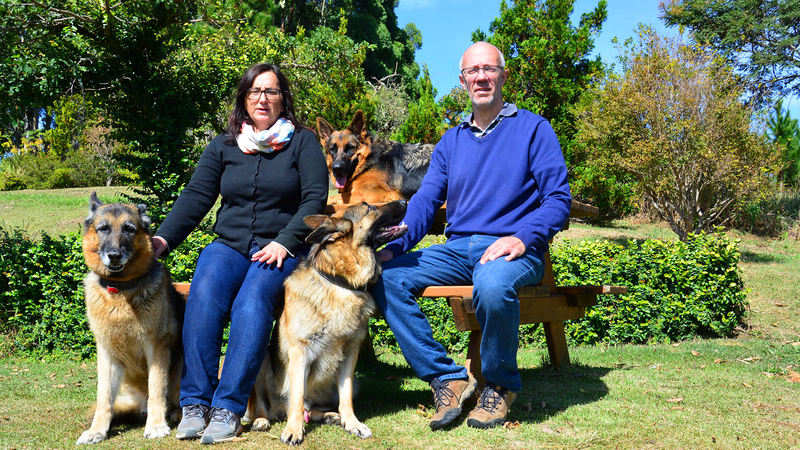 Our beloved German shepherds are our mascots and the fun of many of our guests. We hope that you choose to stay with us, and look forward to welcoming you to this beautiful and fascinating part of Brazil.